Thanks for all your advice throughout. Hi Master, can I invite u and family to come for our official opening at 11am-12pm on 22/9 for a buffet (for invited guests only)? By Cecil Lee, September 10, 2018 in What others say about us? 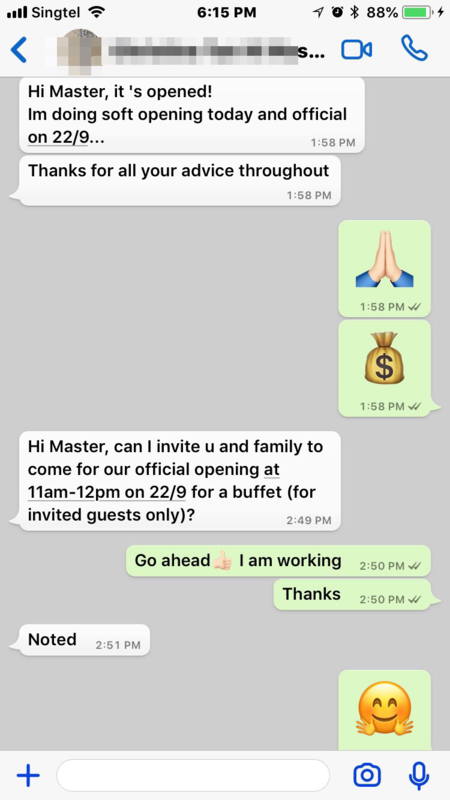 Hi Master, can I invite u and family to come for our official opening at 11am-12pm on 22/9 for a buffet (for invited guests only)?